Betty is very rich, very powerful, very unhappy, and very concerned with The State of Things. Betty is going to quit her job and devote her life to the Thea-tah. Betty has never been asked by anyone what she has to say. She has a lot she’s never said. Betty just got out of prison, and just wants to work on her truck. In this absurd comedy from award-winning playwright Jen Silverman, five women named Betty are brought together by the power of the Thea-tah. 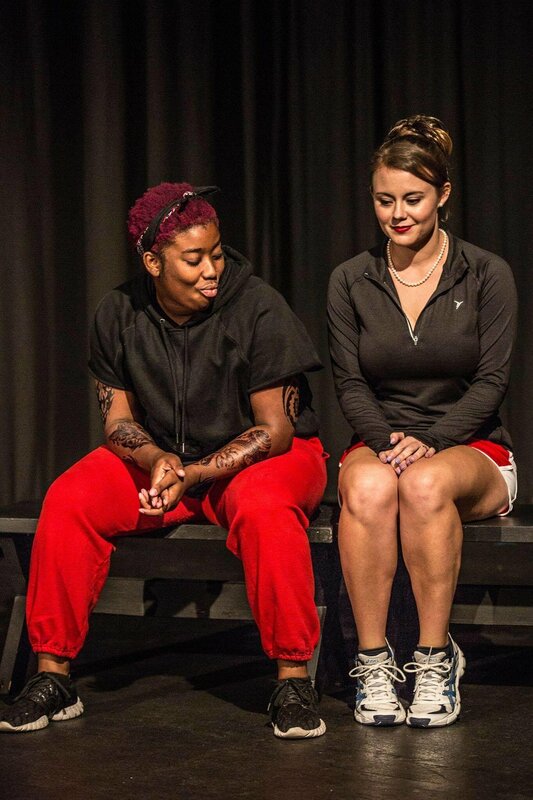 As they devise their own play, the unlikely friends discuss love, relationships, power, loneliness, and art. Each finding herself trapped in her own way and in desperate pursuit of happiness, they discover comfort in the most unlikely of places. A hysterical and heart-warming story, Collective Rage confronts the stereotypes of female identity, and asks us all to learn to love ourselves. Above production photos taken by Bill Simmers.